There’s a distinctive sense of connection in practicing on the water. 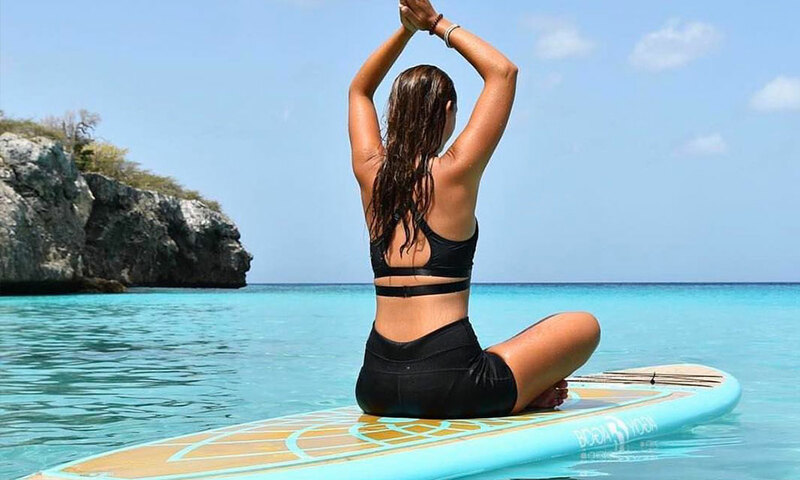 The water holds so much energy, and we’re doing yoga on top of it, with the opportunity to tune into a connectedness within ourselves in this playful pursuit of our familiar practice… on our floating studio. 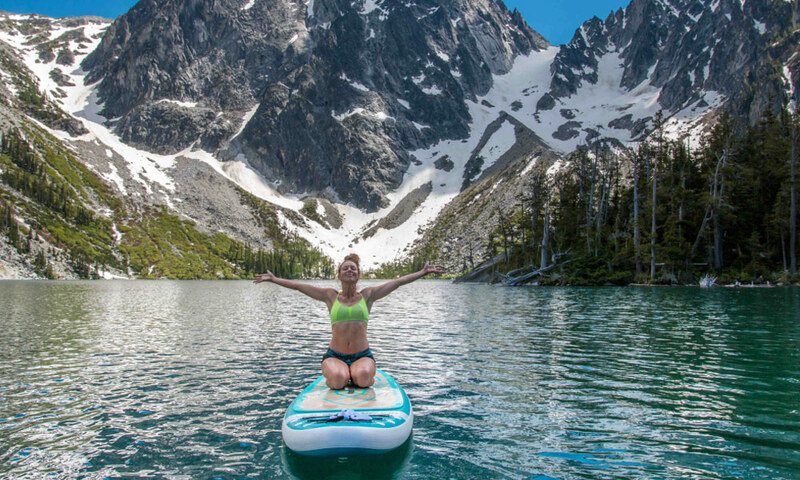 It doesn’t matter if you have a wicked epic practice on the ground, or if you’ve never rolled out a mat before, yoga on a paddleboard challenges what you know about yourself. Although we’re floating while it’s happening, we step back onto the land and into ourselves, more grounded and aware. We (my husband/ business partner/ adventure partner, Dakota & myself) teach in the Pacific Northwest on lakes and rivers surrounded by mountains; and we teach in the jungle on the ocean and rivers in Costa Rica. 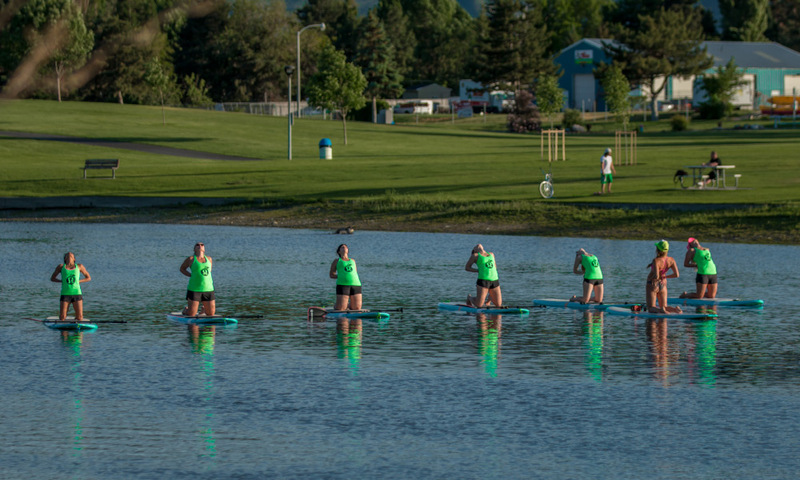 We started teaching SUP Yoga on like, ya know, “regular” paddle boards, about eight years ago. 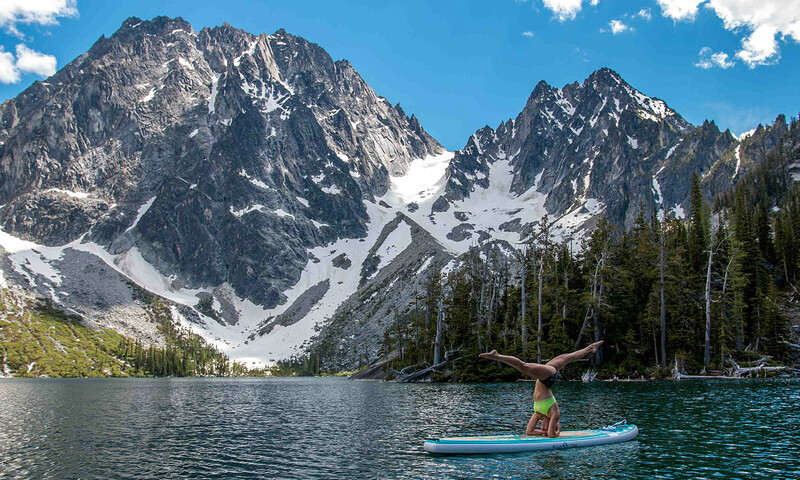 Living in and teaching in a mountain town in Central Washington (Leavenworth), yoga on the boards going down river seemed like a very natural partnership. 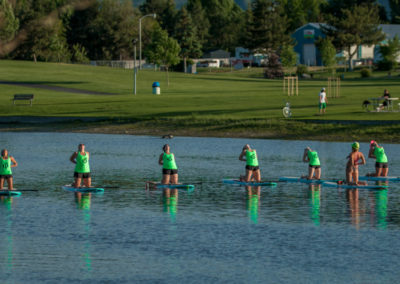 Between climbing, mountaineering, skiing (in the winter), and playing most all of the time, we led classes back then with no anchors and none of the luxuries we get now as the practice has developed, it was sort of like “dirt bag SUP Yoga”. Nevertheless, it was yoga on the water, and that extra element of awareness and challenge was captivating. Flash forward to now, as studio owners (floating studio owners too! ), instructors, retreat leaders; with all the necessary (& luxurious even!) equipment and the prettiest BOGA boards you could ever have, that element of practicing on the water is still captivating, but the ability to share what we’ve loved about the practice has changed in the evolution of the activity. That evolution has created a positive vibration, an excitement; a COMMUNITY of SUP Yogis, (and, I’ll say it… in large part because of BOGA and their enthusiasm, innovation and integrity!!) and I’m grateful to be a part of that vibration and this community. Even more, I’m grateful to be able to share this practice in such a beautiful, awe-inspiring approach, F L O A T I N G.